Red poha/flattened rice/aval/beaten rice is one of the quickest and healthiest ingredient which can be a part of your snack/breakfast/dinner. Mom and grandmother makes many varieties out of poha. 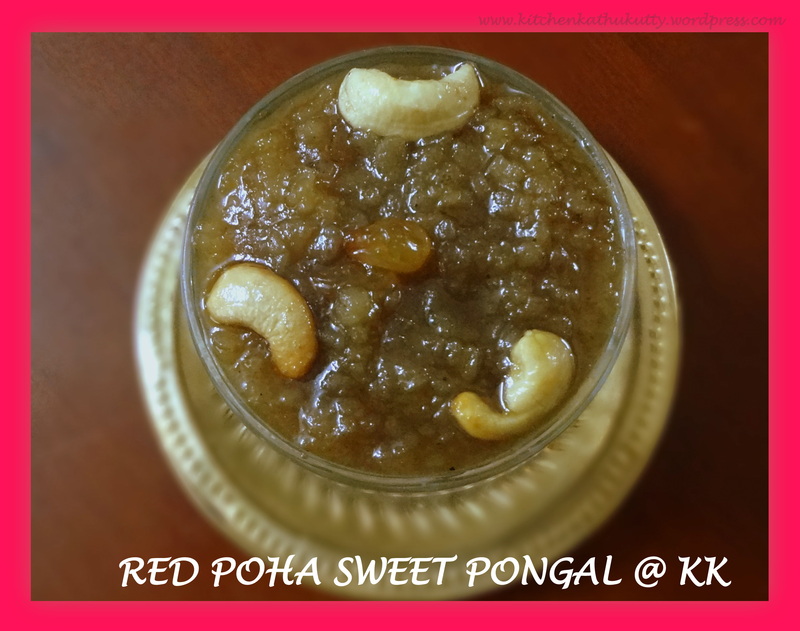 Red poha halwa/red poha sweet pongal was one such recipe and now it is a 15 minute quick and healthy breakfast. This can be an excellent finger food .This will just melt in mouth as I have used thin variety. You can also use thick and white ones. Hello everybody,Hope this post is finding each of you in good health and high spirits. I am extremely sorry about the unannounced long gap. Due to certain unavoidable circumstances I couldn’t access my space. Thanks for your continual support. I thought my come back recipe should be a sweet recipe and I have chosen this. One of my neighbours had a huge pumpkin at home and she was wondering on dishes to be made. I volunteered to help her with recipes of khicicdi/gothsu,halwa,kheer apart from usual stir fry,kootu and sambhar. One fine evening we started preparing this halwa and in no time it was ready and it melted in everybody’s tummy. The guests at my neighbours place were very happy having it. Hence a happy Kitchen Kathukutty too :). 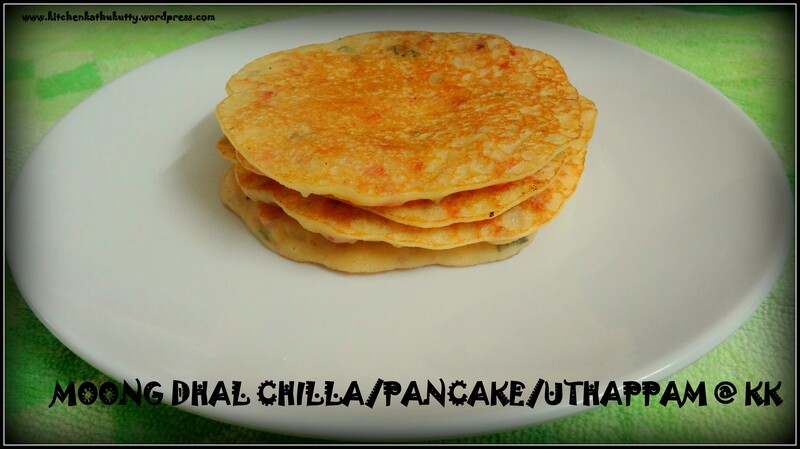 I remember promising few of the readers with this recipe long back,and here you go. 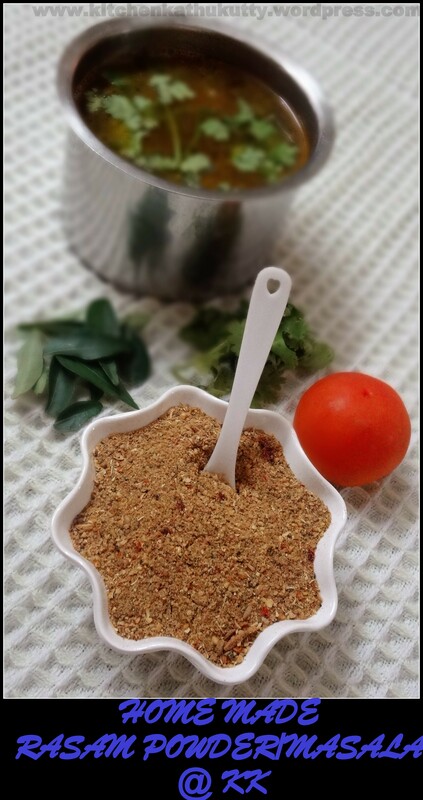 I had posted rasam powder made at home yesterday. Now I am with the recipe of easy rasam with the home made powder. All that you need is few minutes. Rasam is an essential and must have dish in our family lunch. 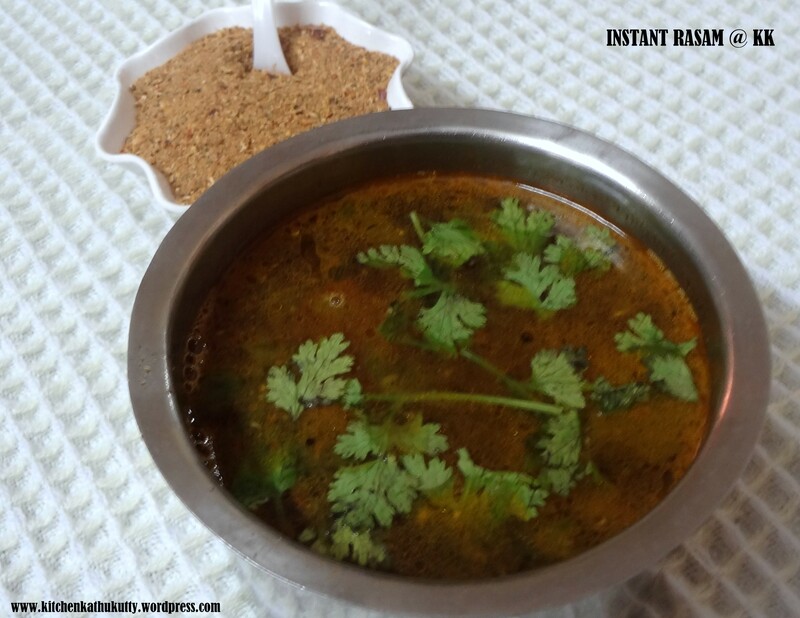 Rasam is an easy and quick recipe which helps in digestion,building immunity and it serves best when you are sick. It aids in quick recovery of cold,cough and fever. The spices added gives an excellent flavour and helps in flushing the phelgm during cold and congestion. Serve it luke warm. 1.Add oil in a pan and temper. 2.In the meantime grind garlic and half of tomato into a fine paste. 3.Add the remaining tomato and saute well. 4.Add the paste and stir well. 5.Pour some water and let it boil. 6.Now add turmeric powder and rasam powder. 8.When it begins to boil,switch off and garnish with coriander leaves. This can be offered after eight months to babies. You can mix this with dal rice and offer your baby or give the watery part as soup. Please consult your doctor before introducing any new food to your baby. 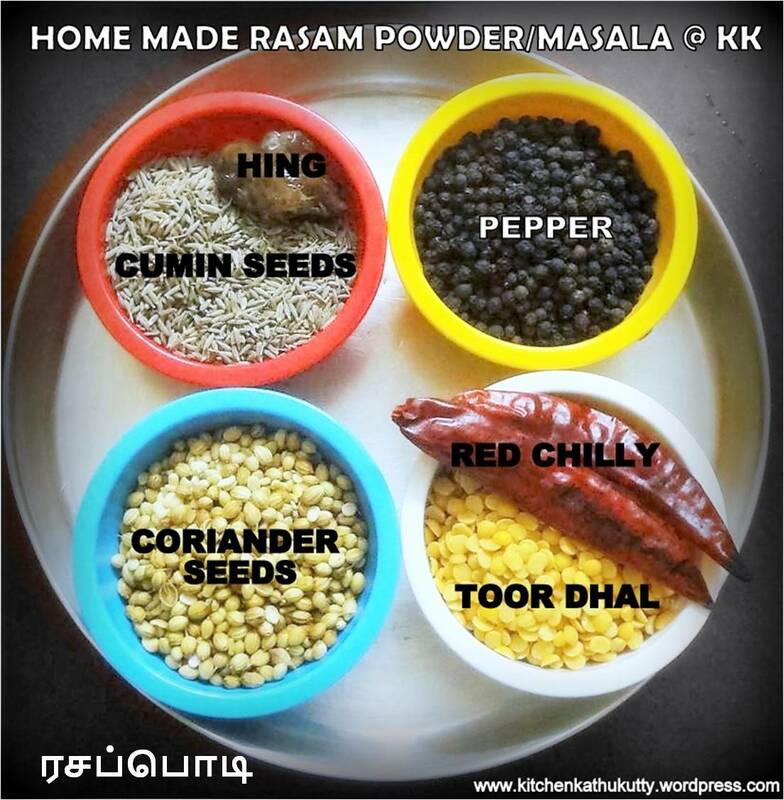 When I had posted home made sambhar powder many were keenly writing to me asking for rasam powder. As winter/rainy season is approaching and climate keeps varying very frequently including rasam in daily diet helps you improving immunity and also digestion. I have the habit of making various versions of rasam based on availability of ingredients daily.Rasam for babies can be given after 8 months. You can either provide this like a soup or mix with rice or mix with dal rice and offer your little one. 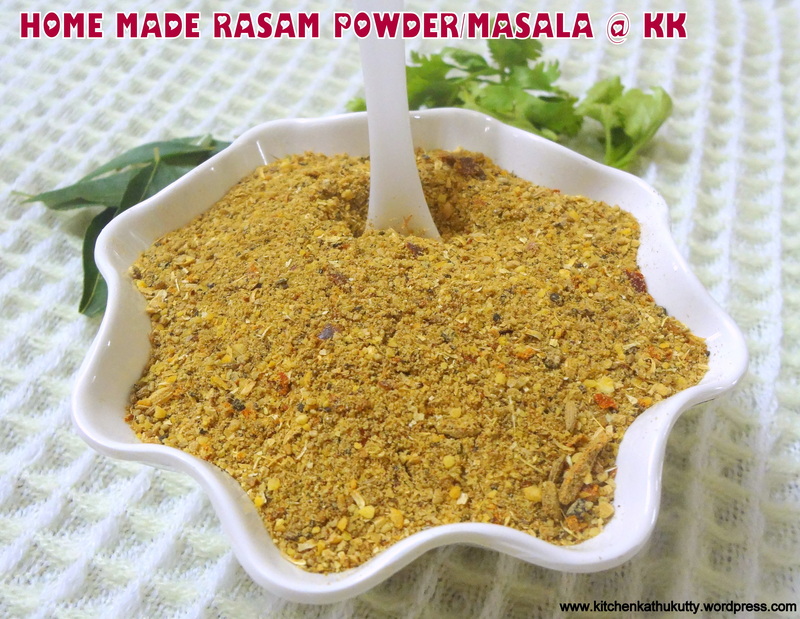 Here is the quick recipe of rasam powder. I shall soon post rasam recipe with this powder. I have already posted coriander garlic rasam and pineapple rasam. Stay tuned for more varieties of rasam. I have taken lesser quantity than specified. 1.Remove impurities from the ingredients. 2.Dry roast toor dhal,red chilly and hing together in medium flame. 3.Dry roast coriander seeds till aroma arises and set it aside. 4.Dry roast Pepper and cumin seeds till they tend to pop. 5.Let all dry roasted ingredients get cooled. 6.Add it to a dry mixer jar and make a coarse powder. 7.Spread it in a plate. 8.Store it in an air tight container after they completely cool down. You can skip red chillies if you wish,especially when you make for babies. This can be stored for 3 months in room temperature. However I prefer to make it once in 15 days. Moong dhal is an excellent source of protein and it is comparatively less gastric in nature . This is the reason it becomes one of the first foods for babies. Cooking moong dhal is so easy and quick. making pesarattu with green gram is a very common menu in my cooking and I tried uthappam as I wanted to make veg version of omelette. Most recipes used besan. I was little hesitant to make a try with besan/gram dhal flour hence I made it with moong dhal. I tried making crispy dosa with these ingredients. You can try it too for your little one. Check recipe here. 1.Wash and soak moong dhal and urad dhal for 1 hour to 3 hours. 2.Drain the water and make a smooth batter without adding water. 3.Add salt and mix well. 4.In a pan,add oil and fry the vegetables,curry leaves. I used only onion and tomato. 5.When they turn soft add hing and chilly powder and mix well. 6.Add this to the batter and mix well. 7.Heat a dosa pan,grease with oil. 8.Spread the batter evenly and close it with a lid. 9.Flip sides and cook the other side too. 10.Repeat the same with rest of the batter. 11.Serve it hot with coconut chutney. The batter has to be thick. You can skip frying the veggies too. This can be your baby’s food post eight months. Poha/flattened rice/beaten rice/aval is an excellent food options loaded with iron and Vitamin B. 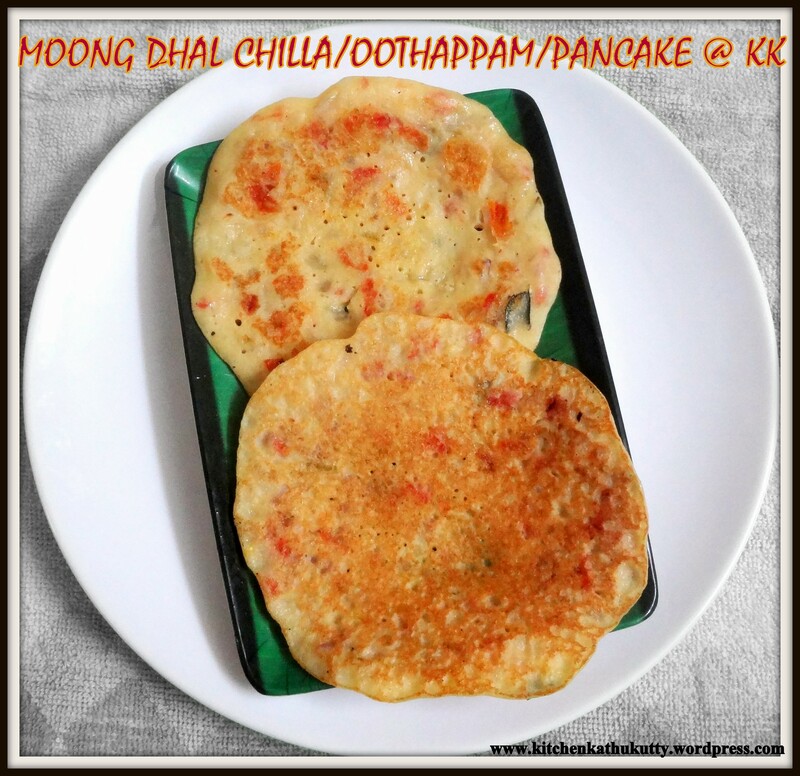 It is one of the world’s first fast food and my mother makes a variety of dishes ranging from a rich breakfast to a simple chatpata snack in jiffy. Red poha is made from brown rice and it is more beneficial as the bran is not removed. Poha is one of the healthiest baby food options and it helps in healthy weight gain for babies. Here is a sweet festive recipe which can be your baby’s meal or guest sweet/dessert or festive recipe or quick snack to munch on. 1.Add a spoon of ghee in a pan and roast the dry fruits and set them aside. 2.In the same pan add the poha and roast it well. 3.Boil some water(I used two cups of water) and add the roasted poha to it. 4.In the mean time dissolve jaggery in water and strain the impurities. 5.When the poha is 90% cooked add the strained jaggery water to poha and stir well. 6.Add the remaining ghee and keep stirring till it thickens. 7.Serve it hot after adding the roasted dry fruits. 1.Soak almonds and raisins over night. 2.Wash,peel skin and steam cook turnip,garlic and potatoes well. 3.Peel the skin of almonds and make a fine paste out of them & raisins. 4.Cool the steam cooked veggies and mash them well. 6.Add the almond paste and half cup of water and let it boil for five minutes. 7.When it begins to boil add hing,salt,pepper and cumin powder and mix well. 8.Switch it off and serve it luke warm. Cooking turnip with potato helps in removing the smell of turnip and you would not hate turnips from now on. You can also add beetroot or carrot or beans with this. I added raisins just for a change. You can skip if you wish to. The soup has to boil until the raw smell of almond and turnip leaves. Adding water is as per choice of thickness. You can also use a mixer/blender to mash veggies. This is recommended for babies above 8 months and you can skip almonds if you wish. 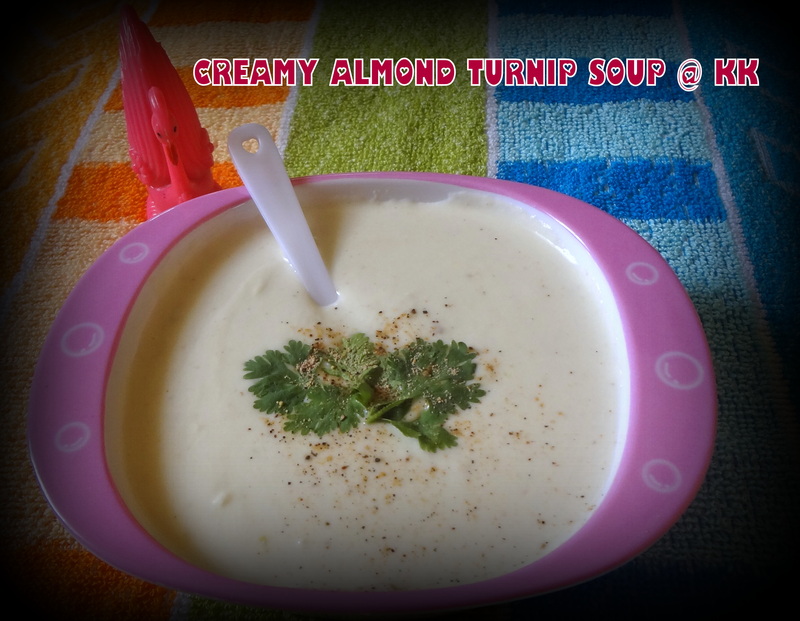 Ensure to have introduced almonds,turnips,potatoes prior before offering this soup to your baby. Avoid salt for babies below one year. Turnips can be introduced from 6 th month after consultation with your doctor. Few suggest this to be avoided till 8 months because of its gassy nature. To over come it please choose small and tender turnips and also cook with some garlic,hing and jeera. 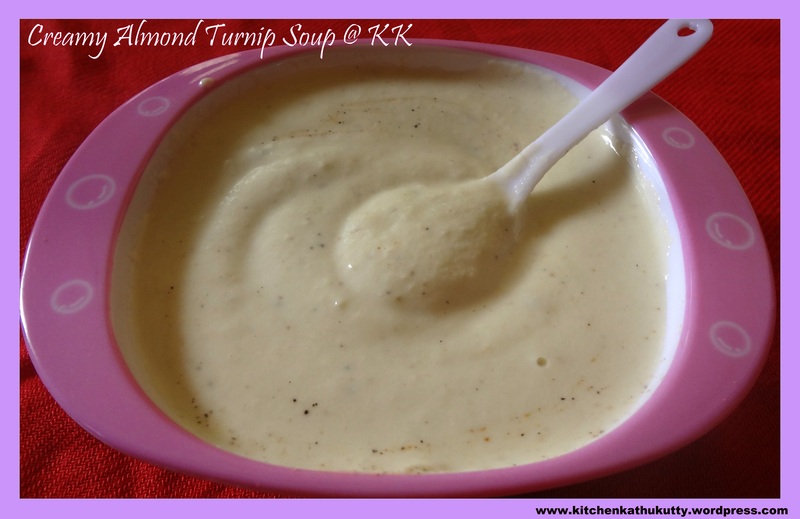 The smell of turnip after cooking and slight bitterness associated with it makes people stay away from this. To escape from it I would recommend you to cook them with potatoes and prefer choosing small,fresh,young turnips with green leaves and turnips which are white with tinges of purple/red/green. I have never had a bad experience with turnip with smell or taste. If you choose bigger turnips prefer to open cook so that the smelly gases get dissipated. Do consider your family history of allergies before introducing turnips. Turnip is one vegetable which has the power to remove congestion because of its Vitamin C content. Hence this soup is best during cold and cough. Skip almonds in such a scernario. The Vitamin C and Zinc in Turnip helps in building babies immunity power. The dietary fiber helps in preventing constipation.